A low-cost tablet that doesn't cut corners remains the holy grail of the fledgling tablet market. So far, that market has largely been defined by Apple's stunning success with the iPad. Barely two weeks ago, Nvidia stirred up the rally cry for inexpensive tablets by dropping mention of its Kai reference platform for inexpensive tablets. This wasn't the first time Nvidia had talked about achieving a less expensive tablet—it did so at CES 2012, when partner Asus joined Nvidia execs on stage and announced a $250 tablet would be coming this summer. Well, summer is nearly upon us, and the drumbeat is getting louder. The goal of a $200 tablet is not surprising. Next to the iPad, the Amazon Kindle Fire struck a chord with consumers by hitting a $199 price for a 7-inch tablet last November. But that customized Android tab made plenty of sacrifices to achieve its attractive price. 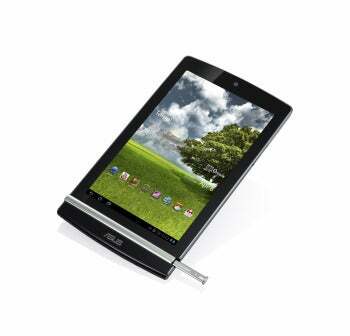 Nvidia and Asus aimed higher, with the goal of hitting a lower price without stunting the usability of the tablet. It's possible we've already seen and heard about a real-world Kai-based tablet. At CES 2012, Asus introduced the MeMo 370T, and we've heard nothing about this tablet since; nor did Nvidia ever refer to Kai during that event. Kai's codename was revealed during an investors' call a couple of weeks ago, when Nvidia let slip the very basics of Kai starting with its mere existence as a Tegra 3 reference design for tablets. But beyond that, we heard no solid details on the platform; instead, we've been left wondering when that news might come. This week's blog post by Nvidia doesn't really add much to the equation, sadly. Nvidia outlined the goal and the challenges and need for a low-cost, “premium” tablet, but it doesn't really explain much about what will distinguish Kai-based tablets from existing Tegra 3 tablets. The blog did confirm that Kai will use the quad-core Tegra 3 system-on-chip processor, and it will integrate Nvidia's Direct Touch and PRISM technologies, both previously announced at CES and both already part of the Tegra 3 platform. The blog does mention that Kai uses a “unique memory controller” with DDR3L “lower-cost PC-type memory”. Well, new for Kai, perhaps, but already we have Tegra 3 tablets, such as the new Toshiba Excite 10, that uses DDR3L memory. Which brings us back to what, exactly, is the secret sauce behind Kai? In follow up emails, Nvidia simply confirmed that Kai's controller is "different" and then repeated that it supports less expensive memory, so manufacturers can pick different designs and screen resolutions. Again, clear as mud as to what's truly special with Kai, and Nvidia remains tight-lipped about what Kai is, exactly, as a reference platform, and what the company's role has been in making it what it is. Maybe Kai involves, in some part, Nvidia seeing an opportunity to do the legwork and bring together compatible components from the right partners to help move the Android (and, presumably, future Windows) tablet market along in a meaningful way. Ultimately, any tablet maker--or maker of a citical component of tablets--wants to find a way to challenge Apple's iPad dominance. Beyond what was discussed for the Asus MeMo nearly six months ago—a product that may or may not even reflect the Kai reference platform--we still have no information about chip speed, storage, ports, and display resolution of this mythical inexpensive tablet. And virtually none of those are directly within Nvidia's sphere of control. Reference designs are often less about innovation and more about delivering a simple package to manufacturers who can't do the design on their own. Perhaps, in this case the Kai reference platform will turn out to be more about Nvidia finding a way for disparate tablet manufacturers to boost volume and thereby reduce cost, without any single one of them achieving that volume alone. Traditionally, volume is how manufacturing costs go down. No reason to believe that won't be the case with Android tablets, too.